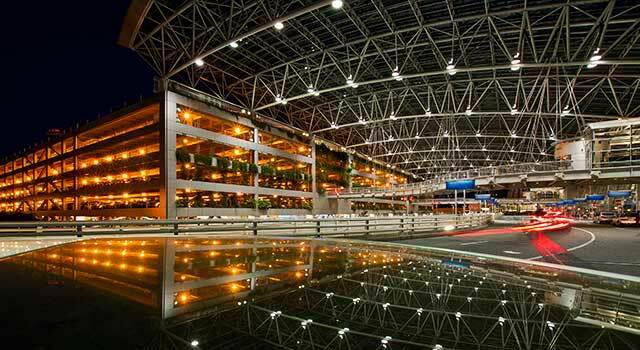 Use this website to quickly find the most important information about Portland International Airport: Flights (Departures, Arrivals), Parking, Car Rentals, Hotels near the airport and other information about Portland Airport. 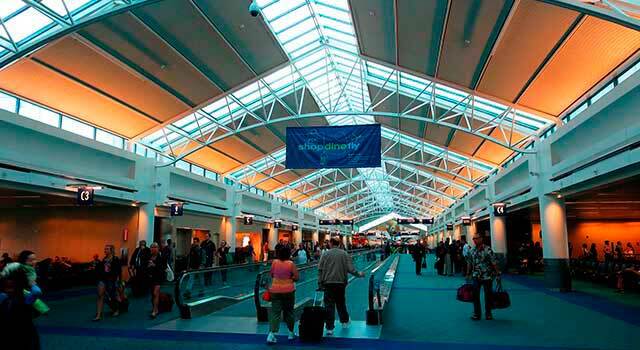 Plan your trip to Portland Airport with the information provided in this site. Portland International Airport (IATA: PDX, ICAO: KPDX, FAA LID: PDX), also known as PDX, is the largest airport in the state of Oregon, in United States. 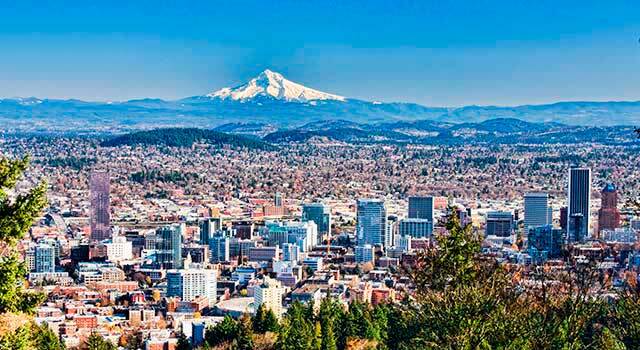 The airport is located inside the Portland city limits, 6 miles (10 km) northeast of Downtown Portland. Portland Airport (IATA: PDX) is the busiest airport in Oregon, United States. The airport is located 6 miles (10 km) northeast of Portland downtown. Portland Airport served 19 Million passengers in 2017. Portland Airport has a single terminal with five concourses split into two sides. The terminals are named South and North, with 3 and 2 concourses respectively. Portland Airport has direct connections to some major airport hubs throughout the United States. It also operate non-stop international flights to Germany, Canada, Iceland, Mexico, Japan, the Netherlands and the United Kingdom. The top ten busiest routes are domestic flights. These are the following ones: San Francisco, Los Angeles, Seattle/Tacoma, Denver, Phoenix, Las Vegas, Chicago, Salt Lake City, San Jose and Oakland. In 2017 the airport handled 19,080,454 million passengers. PDX Airport has a single passenger terminal with concourses A, B C, D and E. The terminal is divided in two terminal areas: North Terminal Area and South Terminal Area. Both Terminals are connected to each other via the Baggage Claim area and Ticketing, through the walkway known as the Concourse Connector. In total, the airport has 60 gates. The Concourse Connector is located between D1 and C2 gate areas. On the other hand, moving sidewalks are also available to move between concourses. From Oregon Market, which is located in the center of the terminal, passengers may access to the South Terminal (Concourses A/B and C) and North Terminal (Concourses D and E). There are free parking shuttles that run to and from the Economy parking lot every 7-9 minutes approximately. Hours: from 04.00am to 00.00am. From 00.00am to 04.00 am. Shuttle buses run every 15 minutes. - Concourses A, B and C are located in the South Terminal area. - Concourses D and E are located on the North Terminal area. In total the airport has 60 gates divided as follow: A1-A12, B1-B3, C1-C23, D1-D15 and E1-E7. Concourse C, D and E have airline lounges (Alaska Airlines, Delta Air Lines and United Airlines respectively). It is planned to extend Concourse E adding 6 more gates. Some airlines are going to be recolocate. The airport has a lot of services and facilities available to all passengers that need it or request it. - Rail: TriMet/Max is the primary metropolitan area’s transit company that provides service to and from the airport with its MAX Red Line light rail service that connects with the airport. To pick up the rail, passengers must go to the baggage claim area located about 150 ft (50 m). 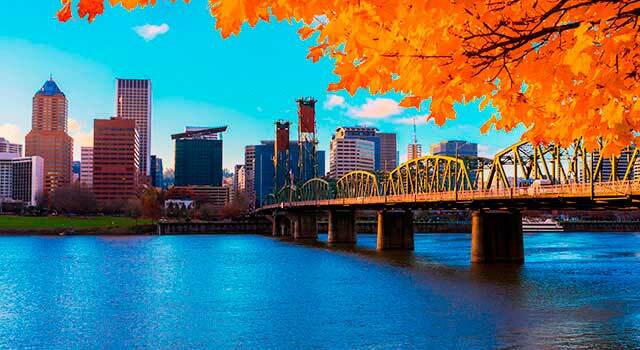 Shuttle and Charter Bus Service: Some hotel courtesy shuttles, as well as charter buses, provide service from Portland Airport. Passengers must ask to the companies listed in the section to use this service. See the complete list at Shuttle page. 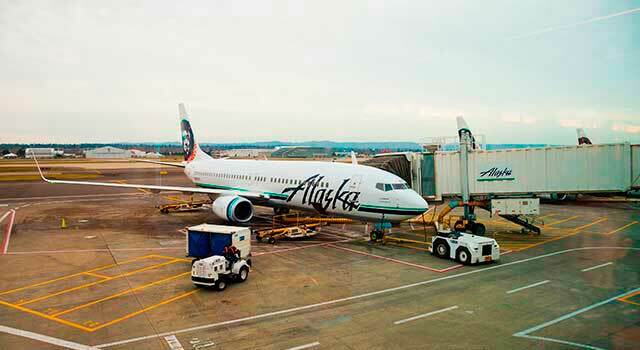 - Transportation Network Companies: There are also Transportation Network companies that operates at PDX airport as LYFT, UBER and WINGZ, INC. Check here the different options that do you have from Portland Airport and book online your vehicle! Hours: From Monday to Friday 08:00 am to 04:00 pm.